When listening to a paired prelude and fugue we sense at times that the fugue seems to spring from the ideas in the prelude which precedes it. We sense this also at times when listening to fugues paired with other free works such as toccatas, fantasias, etc. This is an illusion and can give us a false idea, when we're trying to compose a prelude and fugue for ourselves, that we have to start with the first note of the prelude and then, once our prelude is finished, build a fugue for it based upon material taken from the prelude. Many times this doesn't work so well because not every theme or motif that may work in a prelude lends itself to fugal procedure; we can hit a brick wall this way, which can have us frustrated for a time because we don't seem to be getting anywhere with it; it can even cause some of us to give up finally in disgust. When composition students drop out of their classes over something like this many opportunities to write some very solid, effective new music are lost this way. This is no way to run a railroad. If we're thinking of building a whole new train from the rails up, for example, where the caboose will be the only car behind the engine and permanently coupled to it, then it follows that once we have the caboose finished we can then proceed to building an engine of the right description that's sufficient to pair with it. 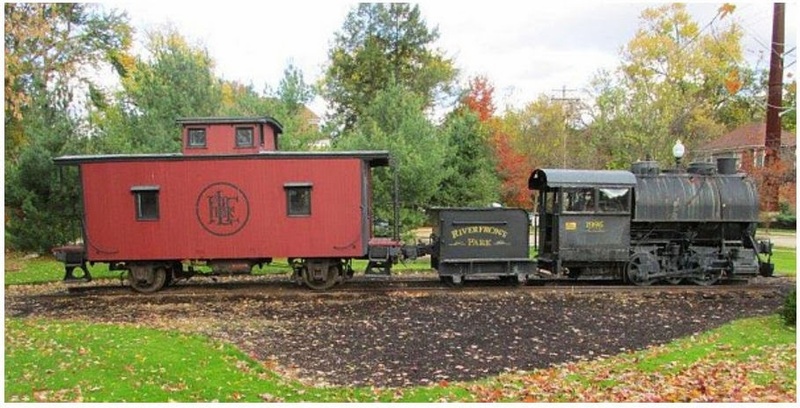 In this situation it follows that the engine that works best with the caboose we've created for it to tow might not have to be very big, maybe shorter even than the caboose itself (photo). What's doing the pulling of the cars on a train, while it's important, is generally less important than what's being towed. It's the same way in composition. When we're interested in writing a prelude to be paired with a fugue, once we've written the fugue it's actually easier and more productive to construct a prelude suited to it than the other way around. This means that if we're creating a paired prelude and fugue for ourselves and we want to use our composing time to best advantage then we need to plan on writing our fugue first; the prelude will come later. This will also give us time and a better ability to decide if our prelude will be thematically related to the fugue or unrelated. Once the fugue is finished, and if we wish both pieces to be related and to have some inner thematic connections, then the fugue's subject and countersubject(s) might be rhythmically transformed (same pitches in succession, different note values) or rewritten in some other way to create thematic material for the prelude. If we're thinking of improvising a prelude and fugue the same thing applies; we need to think about where we're going with the fugue first; this will give us an idea of what we want to do for a prelude. It helps to think of it this way: our prelude will be the engine, and our fugue will be the little red caboose.